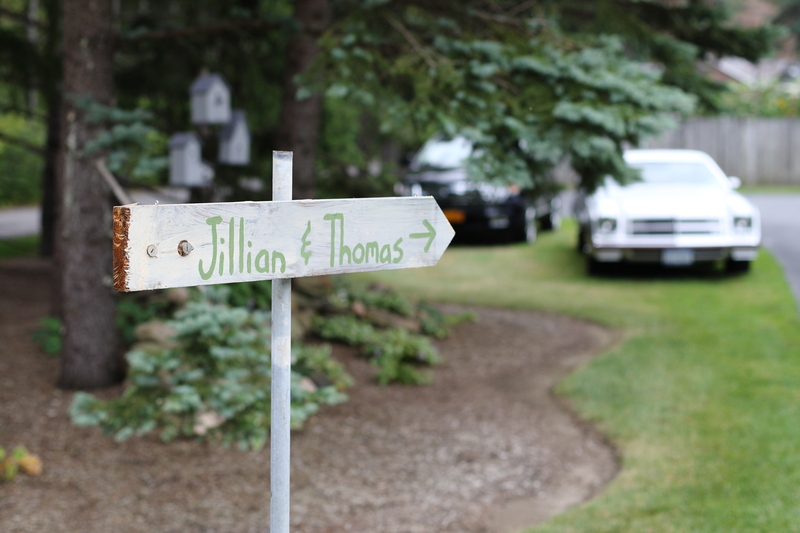 The quaint little sign welcoming guests to our backyard garden wedding which took place in Toms parents yard. Yesterday my husband Tom and I celebrated our four year anniversary. It amazes me how time truly does fly. What also amazes me is how reminiscing on past events both big and small makes you realize how much has culminated in a seeming short period of time. Many things change, but yet many things stay the same. Every single day no matter how mundane something awesome happens, we grow, we learn, and we change. Each little experience of our lives changes us in some small way leaving us just a little different than the moments before. I now realize that my definition of love is sharing these moments, learning, and living these moments. Tom and I are not the exact same people we were four years ago and this is what I love about us. The old adage of “don’t ever change” that is often said as a phrase of endearment are words we’ve NEVER spoken to one another. Without change we become stagnant and boring and thats certainly not the story we want to write. 🙂 I encourage everyone to embrace changes both big and small, learn about yourself and your loved one you might be surprised at what you find. 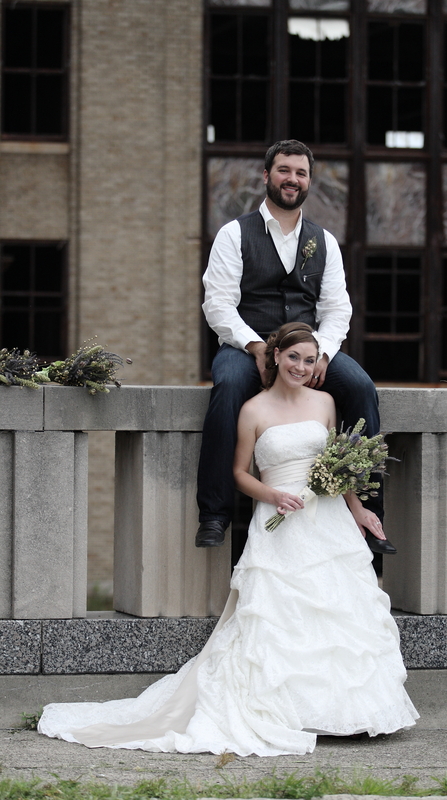 One of my favorite photos on our wedding day. Taken at an old train station in our hometown. 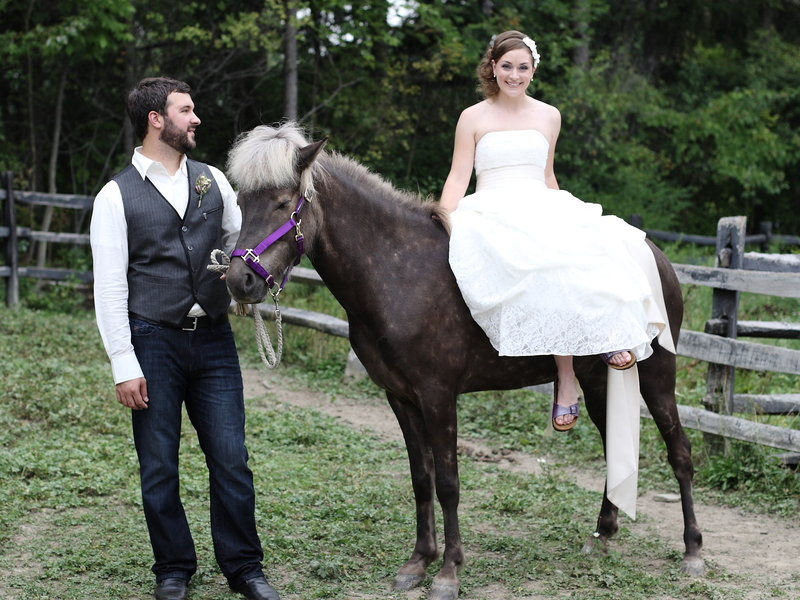 To end, here is one of our engagement photos. Taken in a hanging bog. Yes I am wearing waders and in the water holding some seaweed. Perfect!